It is the Golden Age or Light Age, also known as 'Satya Yuga' in Sanskrit. It is an Age full of Peace, Joy, Truth, Love and Perfection with no disease, suffering or death. The previous Age, the Dark Age or 'Kali Yuga' ended in 1974. Since then, we are in the transitory period. We will be entering the New Age fully in 2018. Many in the East believe that the New Age will begin after millions of years and that we are at the beginning of 'Kali Yuga'. Is this incorrect? The time period of Kali Yuga referred by them is of a higher plane where Time has a different pace. Kali Yuga on this earth lasts for 5000 years. The previous Kali Yuga ended in 1974. With the present level of corruption, selfishness and injustice, is it really possible for the Golden Age to begin by 2018? Yes, it is possible because many invisible Light Age Masters (Rishis) are working hard to prepare humanity for the coming of the Golden Age. 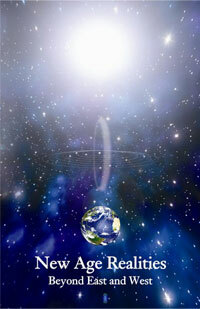 It is because of their efforts and the entry of our earth into the Photon Belt, many will enter the Golden Age. What is the 'Shift in Consciousness' we often hear about these days? The present-day man-made systems are based on fear and greed. With the coming of the New Age and its energies, humanity's collective consciousness will shift to a new system based on Unconditional Love, oneness and abundance. Do we have a role to play in this Shift? If so, what is it? Yes. Every human being has a very important role to play in this Shift. Our role is to contribute to the transformation of humanity by transforming ourselves into Divine Beings through Meditation, Positivisation and spreading Love & Light.